couple of ways that you, too, can advance AORE. 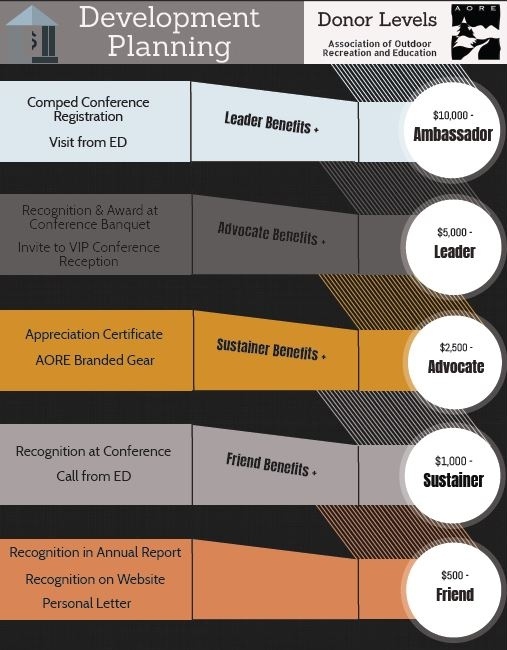 The Donor Levels below show the different rankings you can identify with and the benefits you will receive in doing so. The five levels flow from Friend, Sustainer, Advocate, Leader, and Ambassador.